Dublin has become an expensive place to visit. Therefore, we at Travelodge Ireland have compiled a list of cheap, budget friendly things to do when exploring Ireland’s capital city. Skinflint serves up a mouth-watering array of pizzas for as little as €8.95 or delicious meatballs for €6.75. Eatyard is open between 12pm & 3pm and 5pm & 10pm every Thursday through Sunday. Eatyard is a food market space right next door to The Bernard Shaw, which offers everything from burgers to cupcakes, smoothie bowls to Pakistani cuisine. Ireland’s only contemporary Mexican restaurant, 777 runs great special offers! Taco Tuesdays – enjoy 2 Taco dishes for €6 or 777 Sundays – where all dishes are €7.77. One of Dublin’s oldest coffee shops, you're guaranteed to get a good feed at Gerry’s. With a full breakfast setting you back only €7 or a club sandwich for €5.50, Gerry’s is very budget friendly. For generations, locals have enjoyed traditional fish & chips from Beshoff Bros. Enjoy this classic dish from €7.95 for fresh Hake & chips. Featherblade’s menu changes every month or so with the only permanent items being the Featherblade Steak, sides and sauces. While we wouldn’t recommend it for vegans or vegetarians, at €13 for a steak you can’t go wrong. Phoenix Park – Phoenix Park is the largest urban park in Europe and is home to Dublin Zoo, the official Irish Stage guesthouse and home of the Irish President, Áras an Úachtaráin. Within the grounds are several sports fields as well as a number of cycle and walking routes. National Gallery – Home to Ireland’s art collection, the National Gallery is free to view it's 15,000 paintings, sculptures and other works. Other free galleries and museums included The Natural History Museum, Irish Museum of Modern Art & Dublin City Gallery, Hugh Lane. Chester Beatty Library – Located in the grounds of Dublin Castle and the only Irish museum to win the title of European Museum of the Year, the Chester Beatty Library is free to visit. Spread over 2 floors, the library has more than 20,000 manuscripts, rare books, clay tablets and other artefacts of artistic, historical and aesthetic importance. Shrine of St. Valentine – Located in Whitefriar Street Church on Aungier Street, in the centre of Dublin city, the remains of the patron saint of Love, St. Valentine, are open to the public daily. It is believed by love-seeking Irish that visiting St. Valentine’s resting place can help find that special one. Sandelman’s Free Walking Tour – The 3-hour walking tour of Dublin explores 2,000 years of history. Covering topics from famous Irish writes to dramatic, and often tragic, events; this walking tour brings Dublin’s past to life. Trinity College Dublin – Located in the heart of Dublin city, Trinity is home to the stunning Book of Kells, Zoological Museum and the Science Gallery. While it is free to walk around Trinity College, a ticket to see the Book of Kells will set you back €11-€14 while tickets to the Zoological are €3 and the Science Gallery is always free. Grogans Pub – Open 7 days a week, Grogans is the perfect spot to grab a light snack, people watch or catch up with friends. Your experience will differ somewhat whether you choose to sit outside or inside, but there’s no better place for a warm toasty and one of the best pints of Guinness around. Check out Dublin’s flea markets to pick up some unique souvenirs. The Dublin flea market takes place the last Sunday of every month in Newmarket on Merchants Quay. On Saturdays between 10am & 4:30pm, there the Temple Bar Food Market takes place at Meeting House Square. The Temple Bar Food Market has been running for almost 15 years and offers a wide range of seasonal produce in all weights and portion sizes. 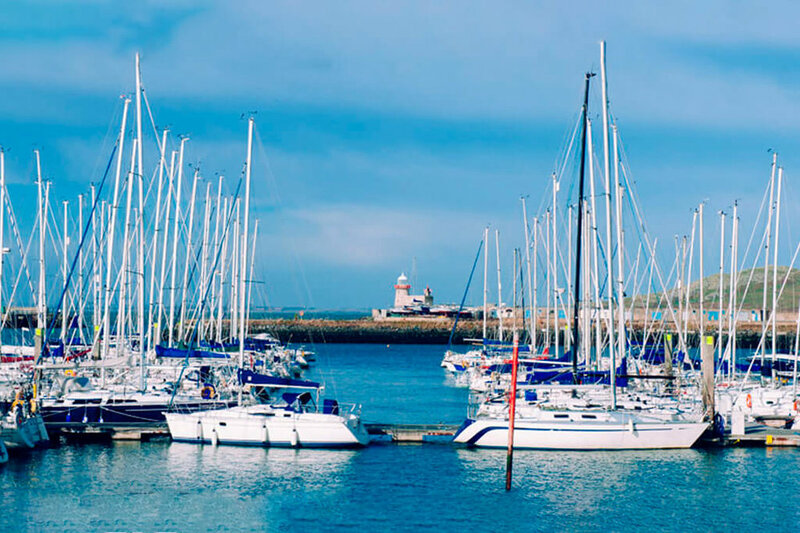 Take a bus or the DART to Howth and enjoy one of the many walks around the peninsula – and why not stop for lunch in Beshoff Bros? You can also take the DART to Dun Laoghaire and enjoy a Teddy’s Ice Cream as you walk along the pier. 3-Day Dublin Bike Pass – a 3 Day pass will cost you just €5. Dublin Bikes are located in the centre of Dublin city with over 100 stations dotted around the capital. The first half an hour on a Dublin Bike is free, but after that, there is a cost. The Travelodge Dublin City Centre, St. Stephen’s Green is located on Mercer Street Lower, next to Stephen’s Green Shopping Centre. The hotel is 15 minutes (3.6 km) from Heuston Train Station and 35 minutes (15km) from Dublin Airport. Hotel facilities include Complimentary Wi-Fi and 24-hour reception. 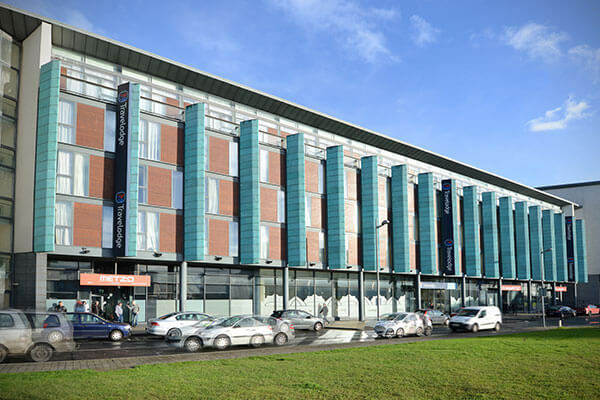 The Travelodge Dublin City Centre, Rathmines is located on the R114 Rd, Rathmines Road lower. The hotel is 10 minutes (2.5 km) from Dublin City Centre (St. Stephen’s Green). Hotel facilities include Guest’s Car Parking, Complimentary Wi-Fi and 24-hour reception.